Ed Schmidt’s 1989 play imagines a summit of 1947’s black cultural icons on the eve of Jackie Robinson’s signing with the Dodgers. Ed Asner doesn’t know it, but Lookingglass Theatre Company has him to thank for its latest production. “Ed Asner makes my heart stop. I’ve been the biggest fan of him since I was a little girl,” J. Nicole Brooks says. Asner has been a frequent contributor to L.A. Theatre Works, the Los Angeles–based nonprofit that makes audio recordings of contemporary and classic plays, often using actors well known from film and television. “One Saturday night, my boyfriend’s like, ‘You’ve gotta listen to this play, this is the dopest thing I’ve ever heard,’ ” Brooks, a Washington Park native who now lives in L.A., says over drinks at Petterino’s. 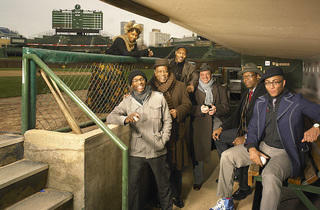 The play was a 1996 Theatre Works recording of Mr. Rickey Calls a Meeting, a 1989 work by Ed Schmidt about Jackie Robinson and the integration of baseball. Asner played Brooklyn Dodgers president Branch Rickey. Actor and playwright Brooks became Lookingglass’s newest ensemble member in 2007, after the company produced her Black Diamond: The Years the Locusts Have Eaten; she also played the title role in her own Fedra: Queen of Haiti in 2009. A two-decade-old script seemed an unlikely choice for Lookingglass, a company that almost exclusively produces original works or new adaptations. “It went from ‘maybe not’ to ‘you’re in, kiddo,’ ” says Brooks, who’s directing solo for the first time. (She and David Catlin codirected Black Diamond.) 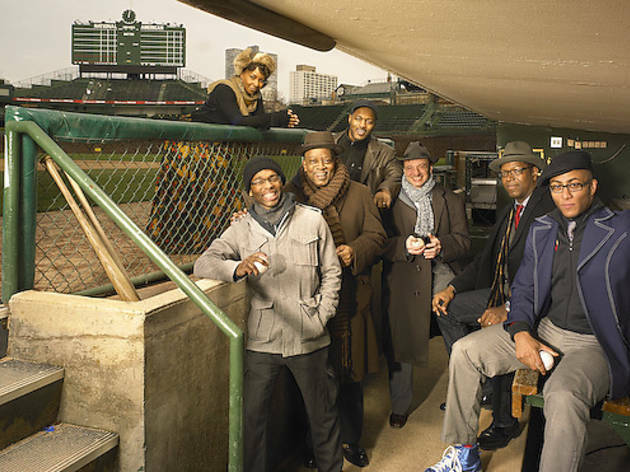 Much of her cast from the 2010 reading returns for the production, including James Vincent Meredith as Robeson, Larry Neumann Jr. as Rickey and Ernest Perry as Bojangles. Mr. Rickey Calls a Meeting starts previews Wednesday 4 and opens January 14.